Find your personal haven in this absolutely stunning, timeless colonial. Featuring a classic red brick front and a stately front elevation, this home welcomes you to make your way inside, where you are greeted by a show-stopping two-story entry foyer with a uniquely curved staircase. An effortless flow leads into gracious formal living and dining spaces, while the main level boasts of gleaming hardwood floors throughout much of its open concept design. Fresh neutral paint adorns the walls through the main level, and when combined with the abundant natural sunlight, provides a relaxing, modern aesthetic. The nearby kitchen is well-appointed for preparing meals of any size with its abundant updated cabinetry, sparkling granite counters, large center island, and sunny breakfast area. The kitchen opens into the gorgeous two-story family room, ideal for relaxation with its floor-to-ceiling stone surround fireplace. A study is located through French doors, which leads into a bonus extension sun room with a soaring ceiling, ideal for a den or play space. A powder room as well as a fully-equipped laundry and mud room complete the main level. As you make your way to the second level, you are greeted by a spacious upper landing which leads into four generously sized bedrooms. The owner~s suite is elegantly finished with a private sitting area, abundantly-sized walk-in closet, and stunning attached bath boasting of dual sinks, a soaking tub, and a separate shower ~ all rendered in spa-like finishes. The secondary bedrooms are plenty spacious ~ two of them share a buddy bath, while the fourth offers a private en-suite. On the lower level, you are sure to love its gracious rec room, with endless flexible space to suit your needs. Currently being used as a massive family and media room, this walk-out basement features a bedroom and full bath with dual sinks, ensuring it has plenty of options for you. Finally, this home is finished by its wonderful location ~ situated on 1.16 acres backing to Tridelphia Woods preserve, it truly feels like a secluded haven. Relax on your back deck or enjoy ample space for play and recreation in the lovely rear yard. The home offers a 3-car, side-entry garage with lots of parking and numerous outdoor amenities including solar lights, updated deck rails, and so much more. 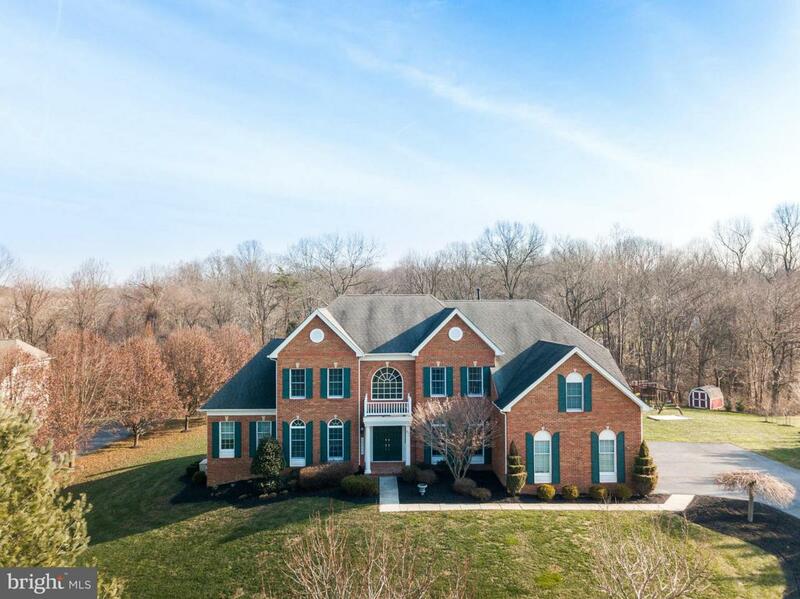 This one truly has something for everyone with a private location yet close to many local amenities and hot spots in Howard County.